"Sometime we have to go through something to get through something." 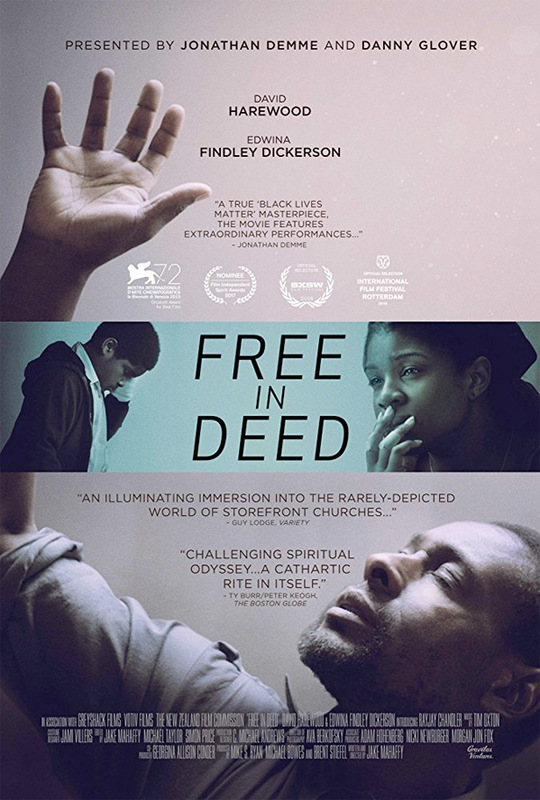 Gravitas Ventures has debuted the official US trailer for an indie drama titled Free In Deed, which first premiered at the Venice Film Festival back in 2015. It also played at numerous film festivals in 2016, and is just now getting a very small release starting September this year. Free In Deed takes place in the world of converted storefront churches, following one man's attempt to perform a miracle. English actor David Harewood (from "Supergirl", "The Night Manager", "Homeland", The Brothers Grimsby) stars as a Pentecostal minister whose dedication to God is tested when approached by a desperate mother and her troubled son. The full cast includes Edwina Findley, Kathy Smith, and RaJay Chandler. This looks very powerful and entirely unique, worth a look. Set in the provocative and distinctive world of converted storefront churches and based on actual events, Free In Deed depicts one man’s attempts to perform a miracle. When a single mother on the brink of profound desperation brings her tormented young son to church for healing, a lonely Pentecostal minister is not only forced to confront the seemingly incurable illness of the child, but his own inescapable demons as well. And the more he prays, the more things seem to spiral out of his control. Free In Deed is both written and directed by American filmmaker Jake Mahaffy, of the film Wellness previously and a number of short films (which you can still watch on his Vimeo here). This first premiered at the Venice Film Festival back in 2015, and also played at AFI Fest, SXSW and many other fests. Gravitas Ventures will finally release Mahaffy's Free In Deed in select US theaters + on VOD starting September 8th this fall. Who's interested?